The Moon is the only satellite to the Earth and the fifth largest satellite (moon) in our solar system. It has a synchronous rotation with the Earth in other words it always shows the same face to the Earth and from our view it is the second brightest object in the sky after the Sun. Although technically Venus is the brighter object in the night sky, the Moon appears brighter to us because it is closer. The Moon is very important to the stability of the Earth because it moderates the Earth’s wobble on its axis. By doing this it has led to the Earth having a relatively stable climate for billions of years which has meant that it has been able to sustain life as we know it. The Moon also controls tides on the Earth due to its gravitational pull. The Moon is simply called “the Moon” because at the time it was named, it was the only “moon” that we had discovered. It was only until Galileo Galilei discovered 4 moons orbiting Jupiter in 1610 that we knew that multiple moons existed and from that time on each new moon was given a unique name so they would not be confused with our “Moon”. 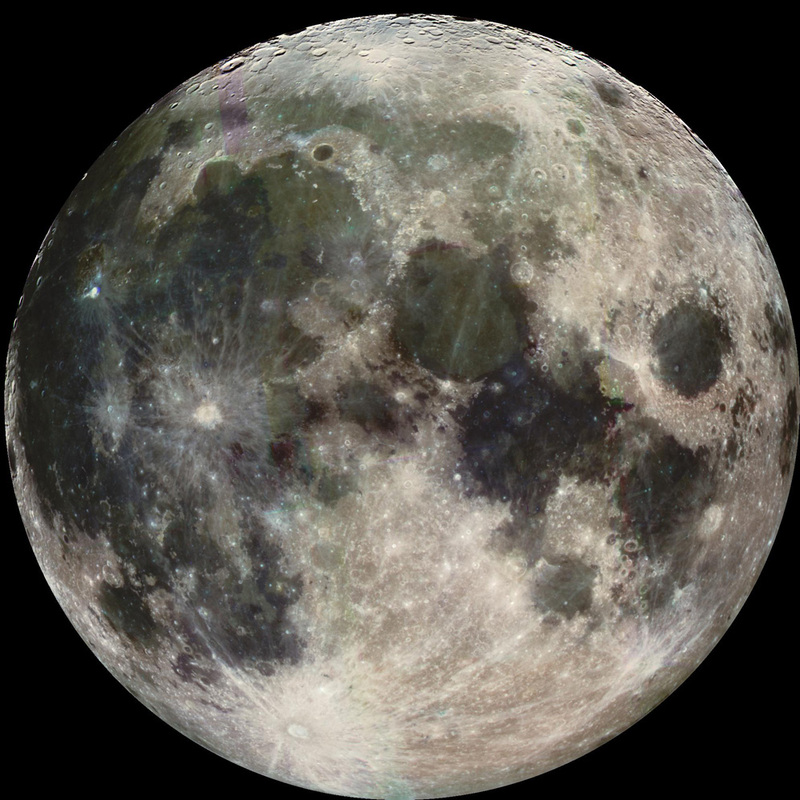 Let’s find out some more fascinating facts about our Moon. There are a number of different theories explaining how the Moon was formed but the theory that is understood to be correct is that the Moon was formed when a Mars sized object slammed into the Earth billions of years ago and blasted material into space which formed into the Moon. 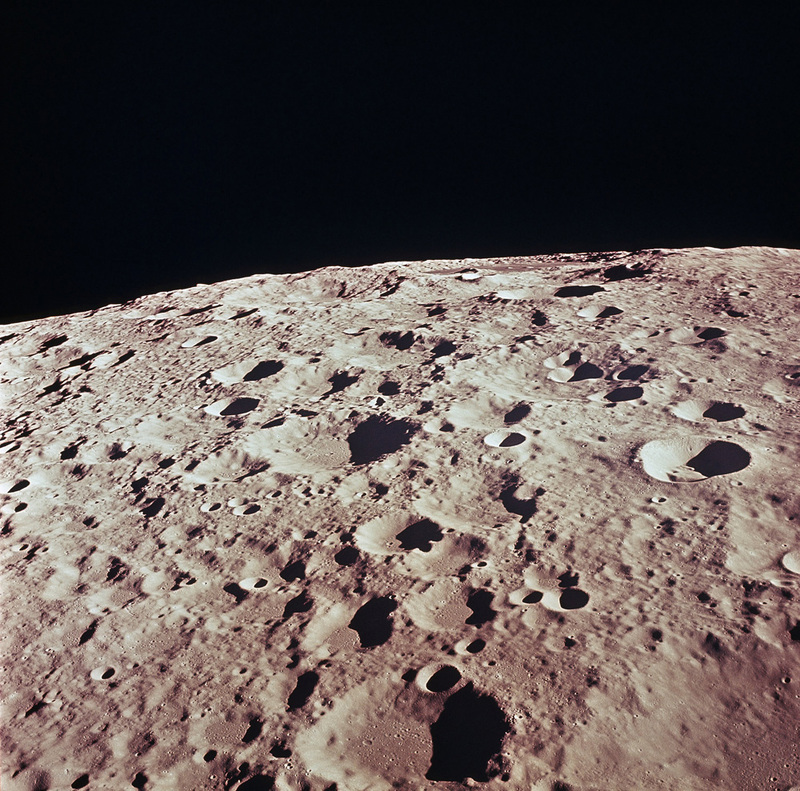 The surface of the moon – photographed during the Apollo 11 mission. Scientists believe that the Moon was created 4.5 billion years ago. The Moon takes 27.3 to orbit the Earth. The Moon is currently moving away from the Earth at a rate of 4 cm per year. The diameter of the Moon is approximately 1/4 the diameter of the Earth but has a mass that is only just over 1% that of the Earth’s mass. 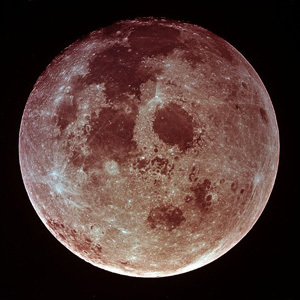 We believe that the Moon has a solid iron rich core of approximately 240 km in radius, a fluid outer core of liquid iron with a radius of 300 km and a further core of partially molten material with a radius of 500 km. The Moon is the only celestial body that humans have landed upon. The distance between the Earth and the Moon varies between 356,400 km to 406,700 km. When viewing the Moon you can see a number of large craters on the surface. It was initially believed that these craters were volcanic in origin but it has since been proved by Apollo space missions that they are impact craters caused by the impact of numerous comets and asteroids onto the Moon’s surface. These objects hit the Moon at tens of kilometres per second and typically leave a circular crater about 30 times the diameter of the object that struck. The light areas that you can see on the Moon are called highlands. The darker areas, known as maria, (Latin for sea) are impact basins that were filled with lava at approximately 4 billion years ago. Edwin ‘Buzz’ Aldrin on the surface of the moon. Photographed by Neil Armstrong during the Apollo 11 lunar mission. There are craters on the Moon of varying sizes – many are more than a couple of hundred kilometres across. There are so many craters because the Moon has such a lack of atmosphere. The lack of atmosphere means that that surface of the Moon is not protected against impacts that would otherwise have been prevented by a stronger atmosphere that could have burned up the object before possible impact. The largest known crater in the solar system is to be found on the Moon. It is called the Aitken basin at the South Pole and measures 2,240 km in diameter. There are estimated to be more than 300,000 impact craters on the near side of the Moon measuring more than 1 km in width. In a strange coincidence when we look into the sky, the Moon and the Sun appear to be the same size even though they are vastly different sizes and are billions of kilometres apart. There is water ice on the Moon which is located at the poles in large reservoirs where it is hidden from the Sun. The water ice would not be able to exist as liquid water on the Moon’s surface because the Moon has not atmosphere to retain the water. The Moon orbits the Earth so closely that it plays an important role on tidal forces on the Earth, in particular the ocean tides. The tidal forces on the Earth have also contributed to slowing the Moon’s rotation so that is rotates on its axis only once per orbit which explains why we only see the one side of the Moon at all times. 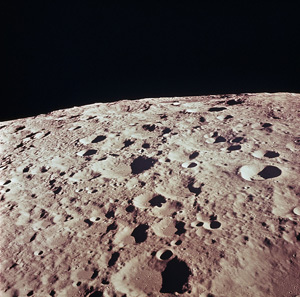 The moon photographed from the departing Apollo 11 craft. 1959 – Lunik 2 : This was the first human artefact to reach the Moon. 1959 – Lunik 3 : Provided the first pictures of the far side of the Moon. 1964 to 1965 – Rangers 7, 8 and 9 : These craft were deliberately crashed onto the Moon’s surface in order to provide the first close up pictures of the Moon’s surface. 1966 – Luna 9 : This mission was the first soft landing in Oceanus Procellarum. 1966 – Luna 10 : This was the first probe to orbit the Moon. 1968 – Apollo 8 : This was the first manned orbit of the Moon. 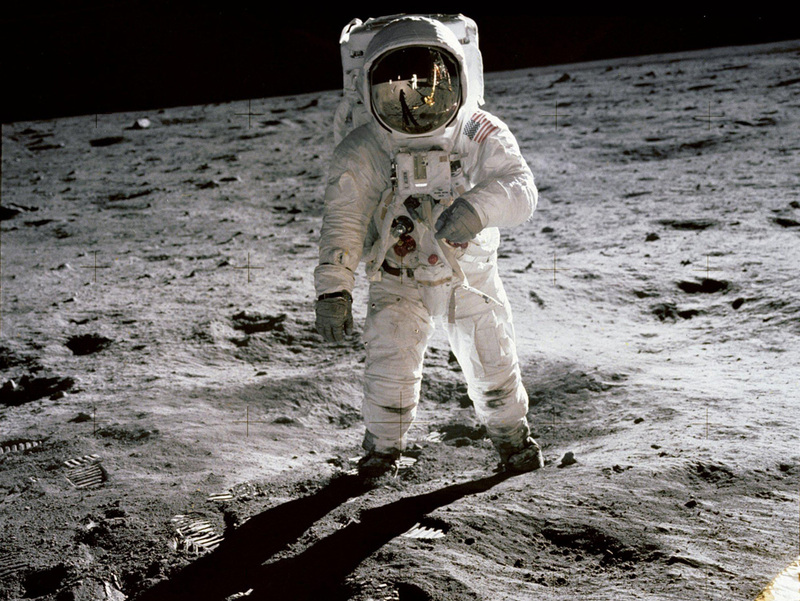 1969 – Apollo 11 : First manned landing at Mare Tranquillitatis. 1969 – Apollo 12 : Manned landing and exploration mission of Oceanus Procellarum. 1971 – Apollo 14 : Manned landing and exploration mission of Fra Mauro. 1971 – Apollo 15 : Manned landing and exploration mission near Hadley Rille with a lunar rover. 1972 – Apollo 16 : Manned landing and exploration mission at Cayley-Descartes. 1972 – Apollo 16 : Final Apollo landing at Mare Serenitatis. 1994 – Clementine : Provided advanced imaging from orbit. 1998 – Lunar : Provided detailed surface analysis from a polar orbit. 2008 – Chandrayaan-1 : Provided first proof of the discovery of water on the Moon. A total of 12 different people have set foot on the Moon with the latest NASA manned mission to the Moon planned for 2019. The gravity on the Moon is 17% that of the Earth. This means you would be able to jump nearly 6 times higher than you would be able to on Earth and carry weights nearly 6 times heavier than you would be able to manage on Earth.